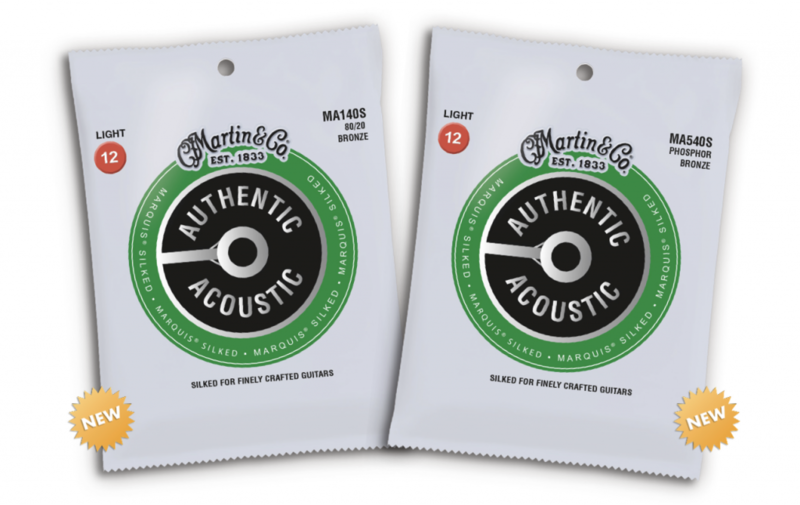 Martin Launch NEW Authentic Acoustic Strings Series! They have invested two years in developing the next-generation Lifespan 2.0 strings to ensure they will sound better, longer than any other extended-life string on the market. Available in 80/20 Bronze and 92/8 Phosphor Bronze. 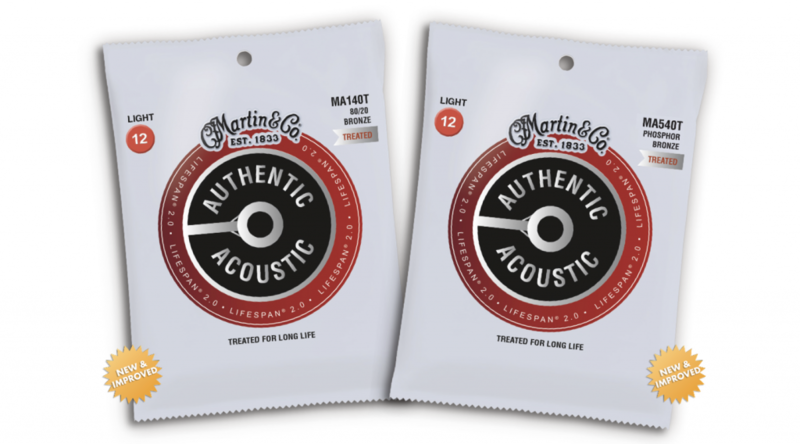 Martin Authentic Acoustic Lifespan 2.0 strings offer next-generation treatment for long life, great playability and feel, and superior reliability with authentic tone. Martin Guitar knows a thing or two about pampering valuable instruments. If you’re looking for some extra protection for your fine guitar, Authentic Acoustic Silked strings are the right choice for you. They have added a soft silk wrap to the ball ends of the Authentic Acoustic strings to prevent wear and tear on the bridge and bridge plate as you play. The silk wrap puts a comforting layer of protection in place every time you change your strings. Available in 80/20 Bronze and 92/8 Phosphor Bronze. Martin Authentic Acoustic Marquis Silked strings offer thread wrapping for bridge protection, corrosion resistance and excellent tuning stability. These strings are engineered with the performer in mind and they will always stand up to rigorous practice and performance schedules. We start with our highest tensile-strength core wire, then tin-plate it on all six strings for added corrosion resistance; because what you don’t see matters! When coupled with their highest quality wrap wire you get a consistent true tone that you can count on song after song. Available in 80/20 Bronze and 92/8 Phosphor Bronze. 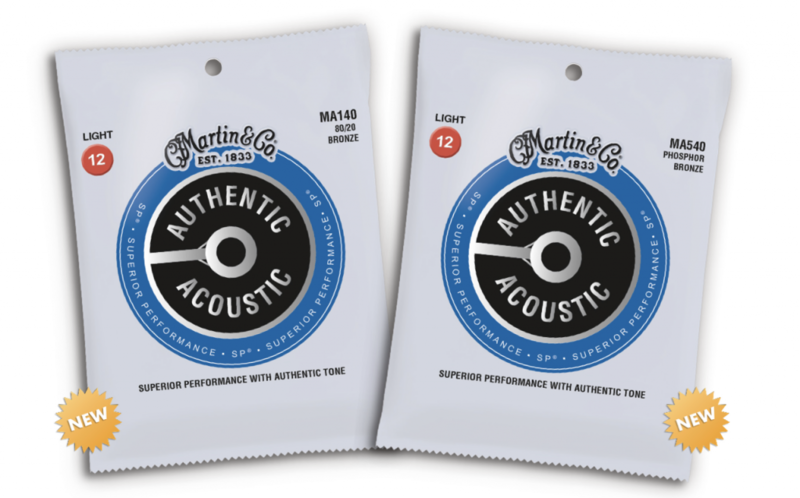 Martin Authentic Acoustic SP strings offer excellent tuning stability, corrosion resistance and great playability. Previous Introducing The NEW HeadRush Gigboard!